After helping out the NCAA.com team for March Madness, I found a new home within Turner Sports Interactive working with the PGA.com team. This site also uses the Drupal CMS, based on PHP and the MySQL database. 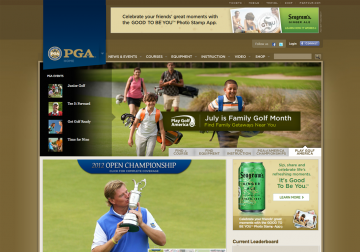 I worked with Drupal’s module and theme layers on such features as the Golf Pro user profiles and equipment lists. I also worked on the course location database, and was able to improve the performance of some of the database queries by an order of magnitude.